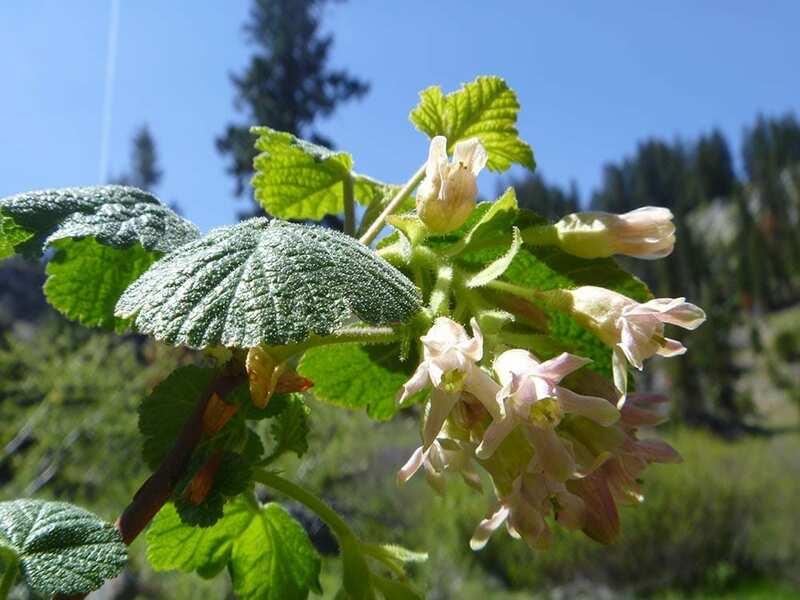 Although the common name sticky currant doesn’t paint a lovely picture in your mind, this deciduous shrub is actually quite exquisite and lovely. The pendulous white to greenish white or pale pink tubular flowers hang from the upright or spreading branches, decorating the shrub with bell-shaped flowers. 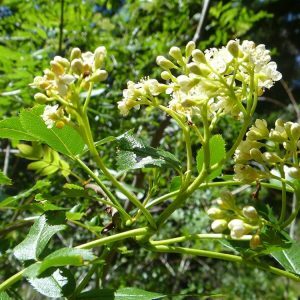 The flowers are glandular and sticky, as are the dark green, maple-like leaves and black berries. The leaves secrete a gummy substance that is sticky when touched. The black berries are covered with a bluish wax and are not palatable. 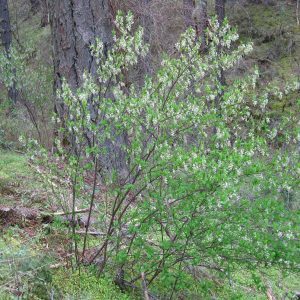 The branches do not have spines like some species in the genus Ribes. Grows 3′-6′ tall. Found along streams and in damp or dry forest edges, and meadow margins at mid to high elevations. 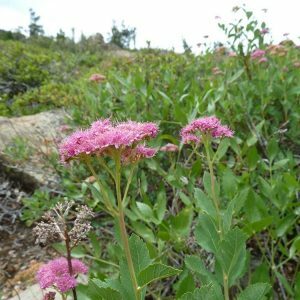 Flowers in early summer, generally May-June depending on elevation. Native to Western Canada and Western United States. Prefers medium to moist soil with good drainage in full sun to part shade. 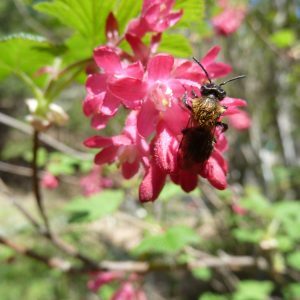 Flowers are attractive to bumble bees and other pollinators.